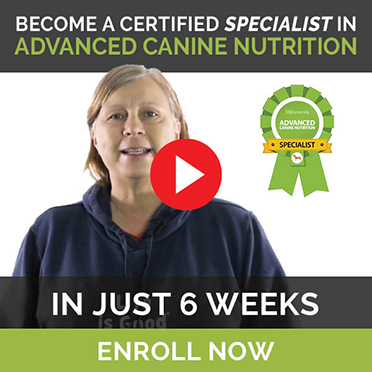 Many of us know that a raw food diet offers a whole host of health benefits for all dogs, regardless of age or breed. This includes improved digestion, healthier skin and coat, reduced allergy symptoms, firmer stools and better weight management. And luckily, there are several top-notch commercial raw food companies out there that you can buy from. But what if you want to make your own? It’s easier than you might think. Here are 5 easy-to-make raw dog food recipes. You can serve all of these recipes either straight away or freeze for the future. All of these recipes provide healthy, nutritious meals for your dog. Mix them well and serve fresh. You may also want to puree or lightly steam the veggies for better digestibility. A raw food diet offers a whole host of health benefits for all dogs, regardless of age or breed. You can also keep the food in the refrigerator for a few hours before you serve it. These are approximate percentage of weight you can use. For example, if you’re making total 1kg of food, then 50% would be 500gm. And remember, these are just approximate percentages. When you’re feeding a diet full of variety, with meaty bones a few times a week, don’t get caught up on exact amounts. If you try to stay within these ranges, your dog’s food will be well balanced. *The meats, for example chicken thighs, should be boneless. The recipes actually include bone, so you don’t want to use bone-in meats and up the calcium content. This is one of the easiest meals to prepare. It’s very healthy for older dogs. Leafy green vegetables are full of nutrition. Research shows that greens may help prevent cancer. Fish is a good source of omega-3 essential fatty acids, which are important for immune and brain health as well as joints and skin. This is a great combo that gives your dog whole food nutrition from beef and chicken. Here are those nutritious leafy greens again! **Note: These recipes feature heart and liver as the primary organ meats but try to find a wide variety to give your dog as much balanced nutrition as possible. All of the organs, not just the heart and liver, are important to feed. Find more about organ meats here. Now that you know what to make, how much should you be making? That depends on a number of different factors, including weight, age and activity level. To start, feed your dog about one to three percent of her ideal weight. So, if your dog’s ideal weight is 50 lbs, one pound of food a day (or a little more) is good. There are five essential fatty acids (EFAs) for dogs. They’re all polyunsaturated fats and they’re essential because your dog can’t make them himself. But just keep an eye out. If your dog’s really active, you may want to give her a little more. Or, if she enjoys lounging more than a good game of fetch, you may want to feed a bit less. If she starts to gain or lose weight, adjust the amount you’re feeding. And don’t forget that puppies always need more. Puppies should be fed two to three percent of their ideal adult weight. So even if your puppy only weighs 15 lbs right now, but her ideal adult weight is around 50 lbs, you’ll want to be feeding for that future weight, not the current weight. Puppies also need a lot of calcium to help the development of strong teeth and bones. Give them a few extra raw consumable bones to chew on during the week. [RELATED] Puppies have different nutritional than adult dogs. Here’s what you need to know to start them on raw. Adding some fats to your dog’s diet is also a good idea. But you have to make sure you balance it correctly. The proper balance supports organ health, eye health, muscle development. For optimal health, you need to make sure these oils are added to your dog’s diet. That being said, you have to choose the right fats for the type of meat you’re feeding. If you’re feeding beef, add 1 tsp of hempseed oil for every 1 to 1¼ pounds of lean meats, a few times a week. You can also add a canned sardine or two to your dog’s food a few times a week for good fats. [Related]What about fish oil? Should that be one the menu? There are a lot of other great raw dog food recipes out there that your dog is sure to love. You can also experiment with all of the recipes above, mixing them up in order to find out what your dog likes and doesn’t like. Aditya Khanna is a writer with a love of pets (especially dogs). He works with Kiezebrink, a supplier of a huge variety of raw dog foods in the United Kingdom. He writes about dog care and aims to educate pet parents about anything and everything related to their loving pets.